This is my blog where, when I have time, I post some of my scrapbook layouts, cards and paper crafts. Hope you enjoy browsing and looking at my work. Feedback is always welcome! Thanks! Check out March's Stamp of the Month - Choose Happy! 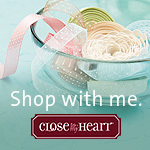 Did you know you can get this stamp set for $5 simply by placing an order of $50 or more in Close To My Heart products? The actual price of the stamp set is $19.75, so you have a savings of $14.75. If you have any questions about the Stamp of the Month, anything else Close To My Heart or want to place an order to get this beautiful stamp set, please call me at 905-259-9255 or email me at jagsscrapin@bell.net. I'd love to hear from you, even if it is just to talk crafting! Hi, I'm Joanne. 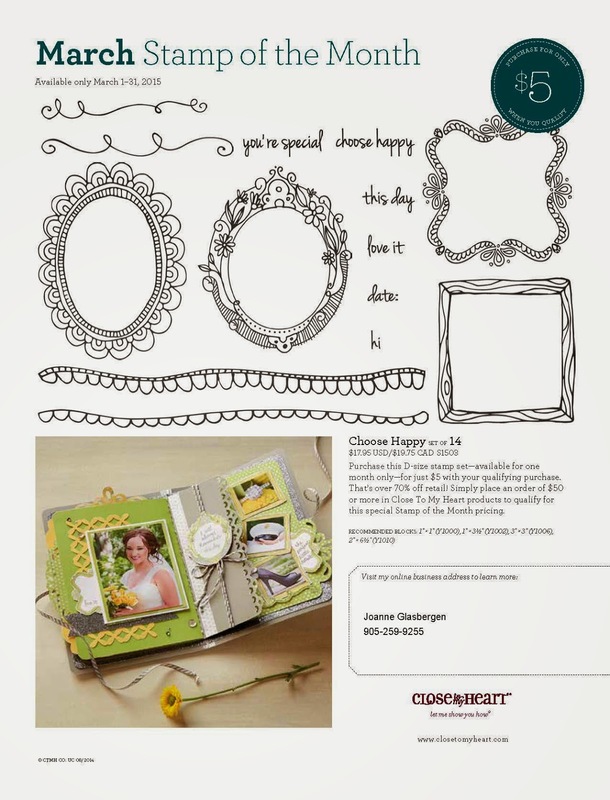 I love to scrapbook, create cards and paper craft. I've been a consultant with Close To My Heart over 6 years. I fell in love with their inks and the rest is history. I love all their products! I'm very happy to part of the CTMH team! Flowers in February... Spring is in the air!